What is the Vital Impact Assessment?  The Vital Impact Assessment was designed to help churches measure their impact with great specificity. Often, it can be hard for a church to measure their effectiveness since spiritual growth and community impact can be hard to quantify. The Vital Impact Assessment fills this gap with advanced statistical modeling, combined with the insight of pastors to provide a proven way to identify reliable insights and trends in the church and in relationship with churches across North America. The Vital Impact Assessment provides you with a proven way to understand the church’s impact with truly meaningful insights. DISCOVER ACTIONABLE EVIDENCE OF LIFE CHANGE IN THE CHURCH. Vital Impact Assessment survey to measure your impact. Promote the launch date. Have church members complete online or via printable PDF. Ensure members take it. Then review the details and have a detailed baseline on where your church is at. Your comprehensive report provides a benchmark of your church member responses alongside those of other congregations. 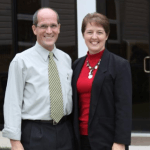 The Vital Impact Assessment gave us new insight into our church life and ministry strengths as well as our needs.